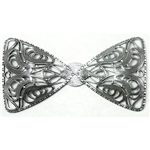 I was researching the Internet this morning to find out about a vintage brooch that I own. It has a silhouette picture of several women and a gentleman. The scene is outdoors. The women are dressed in 18th Century French gowns with pompadour hairstyles. As I continued my sleuthing, I came across the following about hair dryers. I wonder if anyone's head was sucked into that contraption! The article stated: "In 1890, Alexandre Godefroy, in his beauty salon in Paris, invented a machine to dry the hair in hair salons. 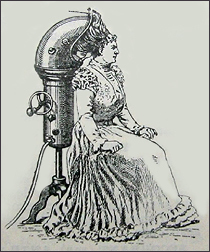 Godefroy's blow dryer consisted in a metal bonnet, that attached to a chimney pipe of a gas stove, which blew hot air on the head. This system allowed women to dry their hair faster and to preserve designs of new kinds of hairstyles. The big size of those machines still made impossible its domestic use." I would definitely opt for a bad hair day. Time for a new look for my Blog. I played with color changes, placement of items and more. What are these? Necklace pendants! The technique is called Collage. I have been hesitant for years to try to do this. My creative friend, Brenda Sue Lansdowne, has several You Tube videos showing how to do it. Well, I watched them over and over. 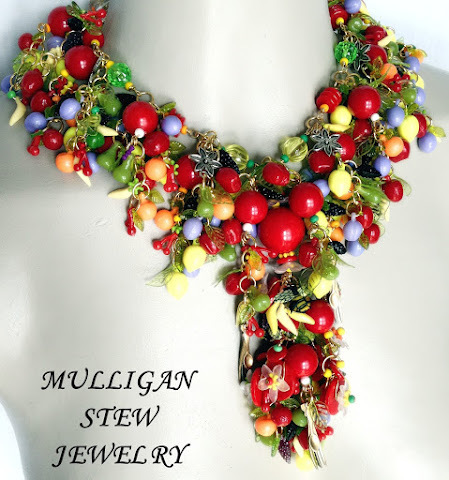 I also looked closely at several jewelry pieces that she had made using this technique. First, I cut this bow shaped piece into two triangles. I used one triangle for the base of each pendant. I got this piece online from www.bsueboutiques.com. Then I pulled out all kinds of pieces and parts to inspire me. 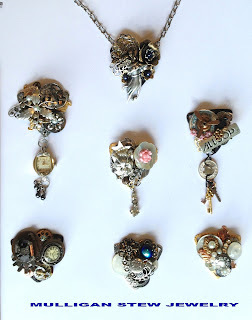 Buttons, charms, metal stamping's, pearls, rhinestones, broken earrings, and more. I spread stuff everywhere! Got out the glue, and away I went. The first one took a good bit of time. Deciding what the main pieces would be, figuring out how to stack, balance, and give the piece visual flow. I learned to give the glue a bit of time to set up so that the parts did not slip and slide about. I really had a lot of fun with these ! !